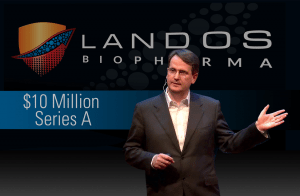 Blacksburg-based Landos Biopharma receives $10 million in series A financing to advance development of novel therapeutics for patients with autoimmune diseases. BLACKSBURG, VA, September 21, 2017 – Landos Biopharma, Inc. announced today it has raised $10 million in a Series A financing led by life sciences investment NYC-based management firm Perceptive Advisors, LLC, which will serve as its exclusive investor for the Series A round. Landos is an emerging biopharmaceutical company focused on the discovery and development of innovative first-in-class, oral therapeutics for patients with autoimmune diseases. Landos, founded by serial entrepreneur and innovator Dr. Josep Bassaganya-Riera, is advancing a robust pharmaceutical pipeline for autoimmune diseases toward commercialization and will partner operational efforts with Boston-based Xontogeny, LLC, a life-sciences accelerator that partnered with Perceptive earlier in 2017. Xontogeny partners with companies to support management teams and provide expertise in the early stages of pharmaceutical and biotechnology development. “We have a committed leadership team with industry experience focused on developing oral treatments that address an unmet clinical need of patients looking for safer, more effective oral therapeutics, and can disrupt the $9.2 billion per year inflammatory bowel disease (IBD) therapeutics market. But most importantly we believe we can improve the lives of millions of patients living with these diseases,” said Bassaganya-Riera, the Landos Chairman and CEO. The company Chairman and CEO, Josep Bassaganya-Riera, and his company have been active members of Virginia Bio, which is a statewide group that supports the planning behind the Governor’s 2015 Virginia Bioscience Initiative. This initiative calls for Virginia to be in the top three pharmaceutical regions by 2023. Dr. Bassaganya-Riera is also a prominent member of the Blacksburg community and was a featured presenter at the Governor’s Forum on Bio and Big Data in Northern Virginia two years ago. The Landos technology has received non-dilutive funding from NIH SBIR/STTR, the Velocity program, and the Virginia Catalyst, with the vision of advancing life sciences throughout Virginia as a means of addressing large unmet medical needs to improve human health. “Landos is at the cusp of the next frontier in precision medicine and healthcare innovation. I am excited to see the future work of the Landos team on critical and unmet clinical needs for oral therapeutics for autoimmune disease patients. Josep, Landos’ Founder, is a world-class innovator and his work in Landos could improve the quality of life for a millions number of individuals across the globe.” Said Virginia Delegate Joseph R. Yost. For more information about Landos Biopharma, visit www.landosbiopharma.com.